Should I hire a guide for backcountry skiing in Hokkaido? Depending on your needs and schedule, our answer might be yes, no, or maybe. What we can say for certain is that an experienced Hokkaido-based guide simply makes things easier. Particularly you're only here for a short time, a guide will maximize your potential to safely make the most of snow, weather, food, culture, and transit between locations. But what to look for in a guide? In this post, we give some pointers when choosing a backcountry ski touring guide in Hokkaido. Here at the Hokkaido Wilds, we hope that our overviews of established ski touring routes will inspire people to explore more of Hokkaido by ski, board, and snowshoe, beyond already well-known spots. For the experienced backcountry traveler with plenty of time, the impetus to hire a guide for exploring the Hokkaido backcountry by ski is relatively low. If you can confidently read a topographical map, navigate, have impeccable snow-safety skills and have experience in taking care of yourself in an emergency overnight in sub-zero winter mountains, most of the established ski touring routes in Hokkaido (such as those on our site and in the Japanese Yuki-yama Guidebook) are well within reach. There are times, however, when hiring a guide just makes logical sense, even for extremely experienced ski touring experts. You must have the best pow. All of the ski touring routes on HokkaidoWilds.org are ultra-conservative, mostly out-and-back routes with a relative focus on peak-bagging and adventure. If there’s good snow along the way, then that’s a bonus, but it is not necessarily the main focus. If it’s pow you’re after, then a guide can build on any of the routes we have on the site (and more), and will help to maximize your chances of getting face shots for dayz. You’re willing to put down good dollars for safety in the hills. 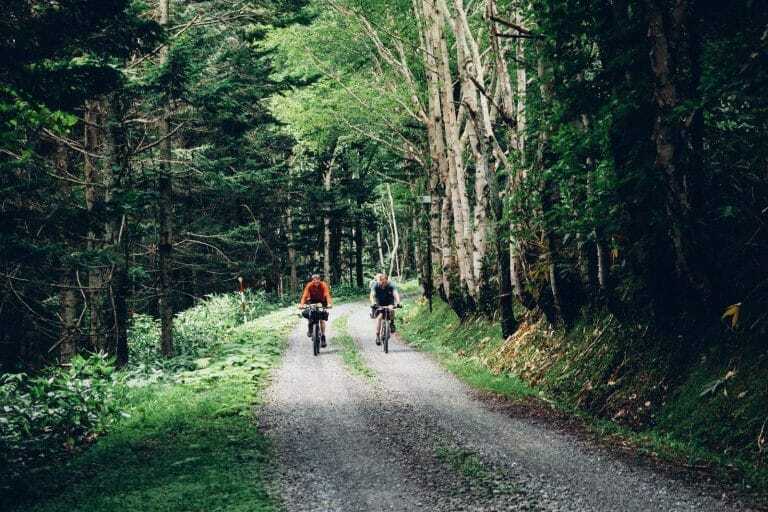 Experienced local guides are in the Hokkaido hills day in and day out. They’ve experienced this season’s snowfall, rainfall, cold events and warm events. They know what is going on, so can minimize your risk in the backcountry. 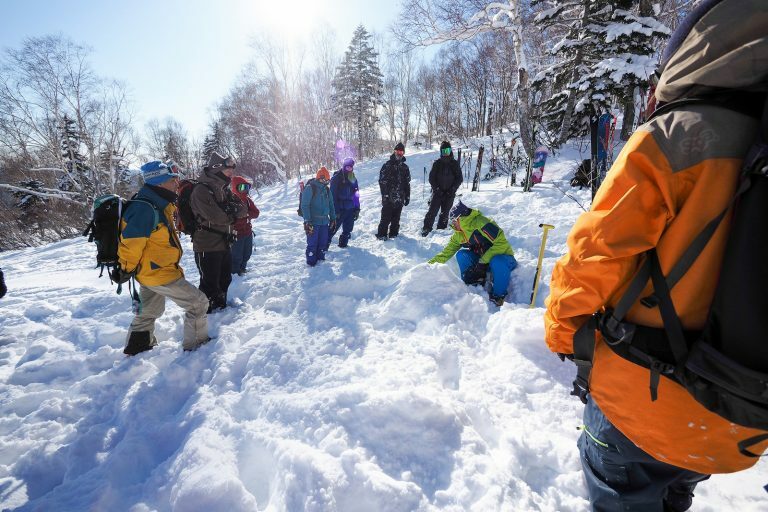 Unfortunately there’s no established avalanche advisory for many of Hokkaido’s prime backcountry skiing locations, but here at the Hokkaido Wilds we’ve seen first-hand the rigorous within-industry information sharing that goes on among professional guides in Hokkaido. Hiring a guide not only allows access to their experience and knowledge, but also indirect access to information shared within the industry. You’re tight on time. If you’re only here for a couple of weeks, a day or two lost to trudging half-way up an access trail (completely unsuitable for fun downhill skiing) to Sapporo-dake only to be turned back due to weather is a great way to feel like precious time is wasted. An experienced guide will be able to flexibly adjust locations on a ridge-to-ridge, gully-to-gully basis based on daily conditions. You want to invest in the future. Skiing with an experienced ski touring guide in Hokkaido is an educational experience: pointers on powder skiing, safety tips, deep local insight, culture, language. You’re paying for way more than just a one-off drop-in to a sick line. You’d rather be skiing than waiting at a bus stop or driving around in circles. 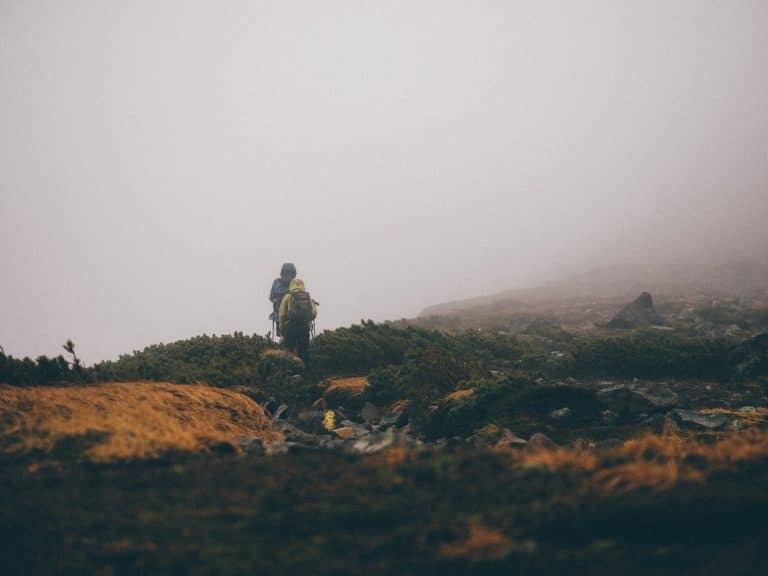 An experienced local guide can minimize the fuss of transport to and from trailheads. That’s a definite plus in Hokkaido where the public transport system is still very much mono-lingual, and most road signs are in Japanese. You want to eat the best food (even if you’re a vegan). Navigating food options can be a daunting task in Hokkaido. A guide knows the offerings in a particular locale and can adjust the day’s menu (even if self-catering) to give you the best culinary experience, based on whatever food preferences you might have. You don’t know the language. Where possible, we always highly recommend hiring guides that speak Japanese fluently. So much information about the Hokkaido backcountry is in Japanese. A guide who reads, writes, and speaks Japanese well (or at least has someone on their team who does), will have knowledge of off-the-beaten-track ski touring opportunities beyond the somewhat limited English-speaking backcountry world in Hokkaido. 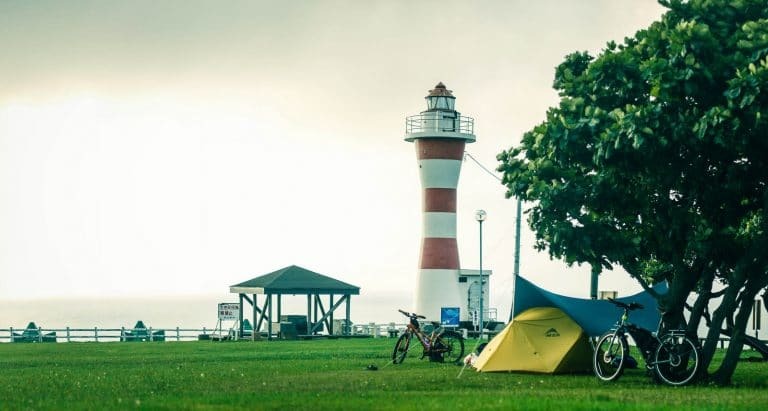 On the ground, whether it’s making phone calls to local town offices to inquire about huts, booking off-the-beaten track accommodation, or just interacting with locals, language ability can be invaluable for efficiently having a unique adventure. You don’t know the culture. A guide who knows the subtle nuances of Japanese culture will give you human-interaction insights that will leave you better educated, less perplexed, and more appreciative of the way the Japanese do things. You’re visiting Hokkaido for the first time. An experienced guide can give invaluable insight into conditions and locations. You’re inexperienced in the backcountry. If you don’t have much experience navigating and moving about in the backcountry, either go with a friend who does, or hire a guide, or join a local mountaineering club. For extra reading, check out these articles. Here at the Hokkaido Wilds, we make an effort to support certified local guides who have cut their teeth living and breathing the Hokkaido mountains. As such, here are some things we think are attributes of the ideal Hokkaido backcountry ski guide. Internationally recognized accreditation. We can’t emphasize enough IFMGA (International Federation of Mountain Guides Associations, https://ifmga.info/) and/or advanced level Japan Mountain Guides Association (JMGA) accredited status. These accreditations, referred to as the ‘Doctorate in Mountain Guiding’ (skimag.com, 2018) are not a week-long qualifications with a multi-choice answer exam. They are extraordinarily difficult to attain, and signals a life-time commitment to safety, adventure, and experience. 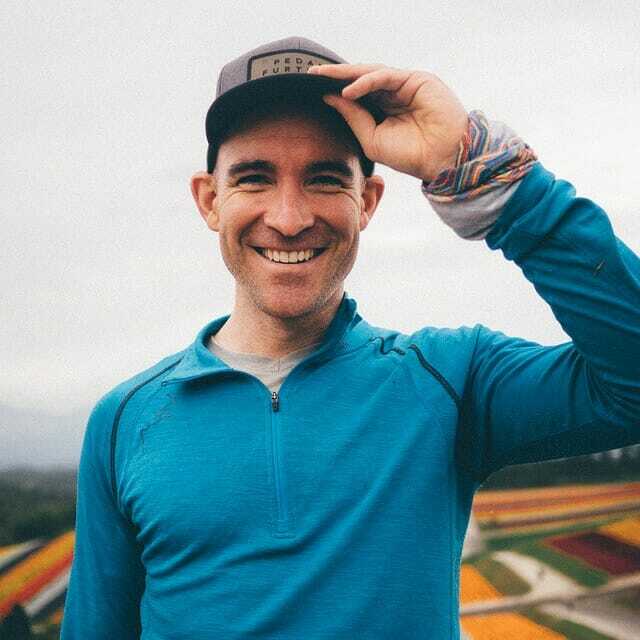 Look for individual guides who have one or more of these qualifications, or at the very least guiding outfits that have an IFMGA qualified guide in their team. Japanese and cultural competency. Being able to speak Japanese fluently and function with cultural fluency opens up many doors to truly off-the-beaten track adventures in Hokkaido. If you want a guided trip up Mt. Yotei, then any qualified, accredited guide will do the job. But if you want to put together a hut-to-hut expedition in far eastern Hokkaido or other less-traveled locales, then a linguistically and culturally fluent guide will have access to resources way beyond what we even offer on the Hokkaido Wilds. Local mountain association contacts, Japanese online resources, contacting local town offices…this doesn’t happen if you’re limited to English only. If you’re wanting to out-source your research as well as on-the ground logistics, then look for Japanese ability. Local experience. This goes without saying, but a depth of local experience is very important for not only getting the most out of your trip to Hokkaido, but also for safety. Weather, snowpack conditions, post-ski onsens…local experience is invaluable. Also note that not all destinations within Hokkaido are equal. A guide in Furano may not be the best person to ask for a guided trip to Rishiri, for example. Local local knowledge is pretty valuable. Some guides in Hokkaido have either grown up here, or have spent over 20 years exploring the mountains here. Ability to book online in English. Word of mouth and making arrangements by email can be tiresome, particularly from overseas. Look for guides where the booking process is online, easy, and smooth. We’re working on a list at the moment, but for the meantime, just take a look at individual ski tour route pages here on the Hokkaido Wilds for some of our recommended guides that can be booked through Explore-Share.com. We’re impressed that Explore-Share.com signed up some of the biggest names in the local mountain guiding scene here in Hokkaido. Disclaimer: Booking a trip with a certified local guide via Explore-Share.com earns Hokkaido Wilds a commission. 100% of that revenue goes into a fund to promote and sustain the Hokkaido outdoors. SEE MORE DETAILS HERE.